Pets allowed on both Sites. Site fees accommodate 2 people. 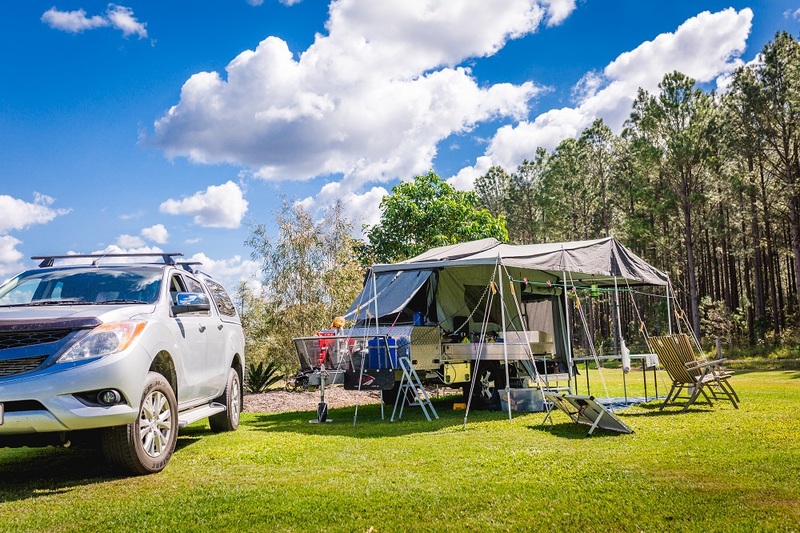 6 people per site in a single Caravan, Tent or Camper Trailer. Powered / Unpowered Site: $20 per night for 2 people with water included. Powered Site: $25 per night for 2 people with water included. Powered Site: $23 per night for 2 people with water included. *Service Number required upon booking for discount to apply. These spacious powered sites offer power, water, sullage and use of our clean amenities, free BBQ and Camp Kitchen. Surface – Slab, Gravel or Grass. Pets allowed on this Site. 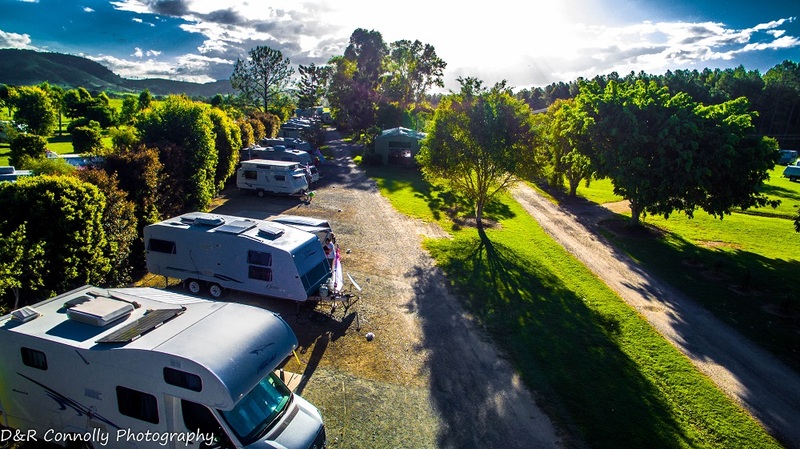 Site fees accommodate 2 people.Extra persons over 5yrs of age is $6 per person per night with a maximum of 6 people per site in a single Caravan, Tent or Camper Trailer. Plus enjoy all the park facilities and fun activities on offer at Standown Park, as well as the many things to see and do around the Gympie Region. Check-in is generally 10am and Check-out is before 10am in our busy periods. Please Contact us on 07 5486 5144 to see if early Check-in / Later Checkout is available for your booking/site. No fire/fire pits permitted on individual sites. Everyone is welcome to use the fire pit at the camp kitchen. These flat grassy camp sites are spacious with beautiful countryside views, free from rocky grounds and fallen tree debris. They also offer the use of our clean amenities, free BBQ and Camp Kitchen. Site fees accommodate 2 people. Extra persons over 5yrs of age is $6 per person per night with a maximum of 6 people per site in a single Caravan, Tent or Camper Trailer.